Whenever I’m in an airport terminal waiting for my flight, I always stop by the Brookstone, if there is one, to check out their gadgets and luggage. The reason the adapter stood out to me was because I had a very similar one in my backpack. 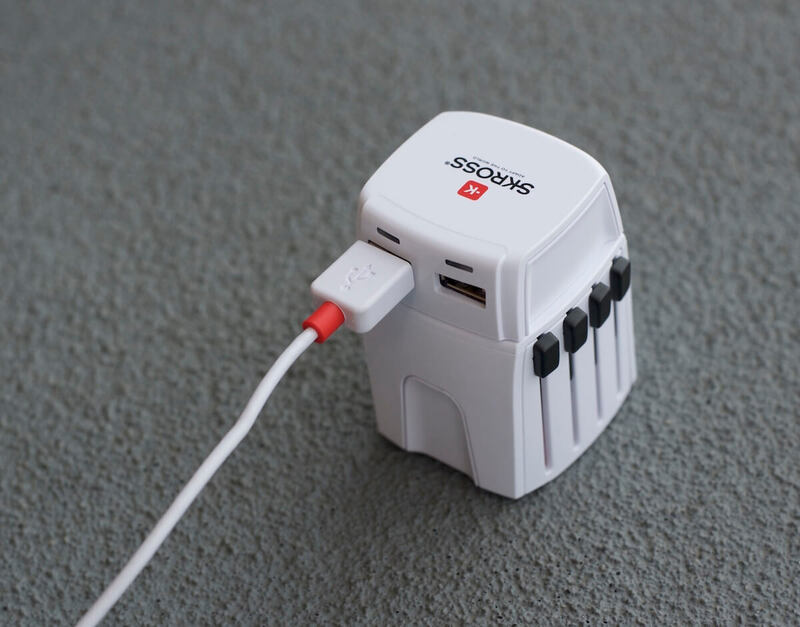 The Skross World Adapter MUV Micro USB uses retractable prongs which will fit the sockets of almost any country. 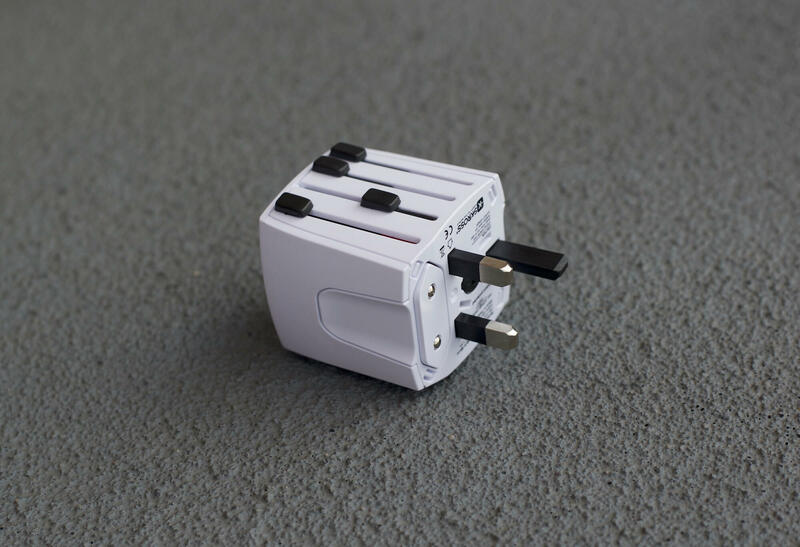 That way, regardless of the country you’re visiting, you can pack the adapter along with you. It’s as small as it could possibly be, fitting in all of the essentials, and it’s easy just toss in a backpack or personal item. The USB charging port add-on would be better if it were built in, not an add-on which covers the main socket. Three pronged American plugs do not fit in the Skross MUV adapter. One of my most important devices I need charged while traveling, my Macbook Pro, uses a 3 pronged charger. It can’t be charged with this adapter. Another of Skross’ adapters, the PRO Light USB – World adapter, addresses both of these issues. Another of Skross’ products designed for travel is the BUZZ Alarm Cable 2-in-1. 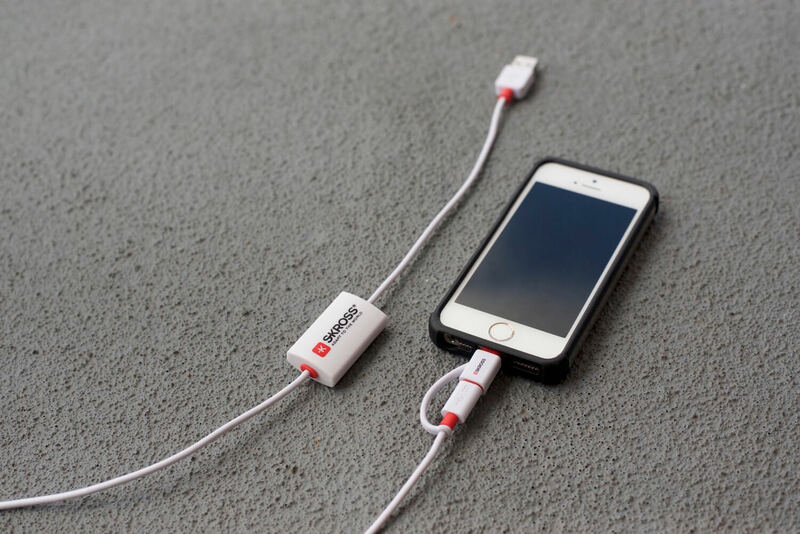 2-in-1 refers to it’s ability to charge both devices that use Apple’s Lightning Connector and Micro USB. The 2-in-1 feature turned out to be incredibly useful during my travels. It eliminated the need for me to bring cables for each device. The 2-in-1 allows me to charge both my Bluetooth headphones and phone with the same cable. (Albeit not at the simultaneously.) Plus, I’ve been able to loan it to friends with Android phones. 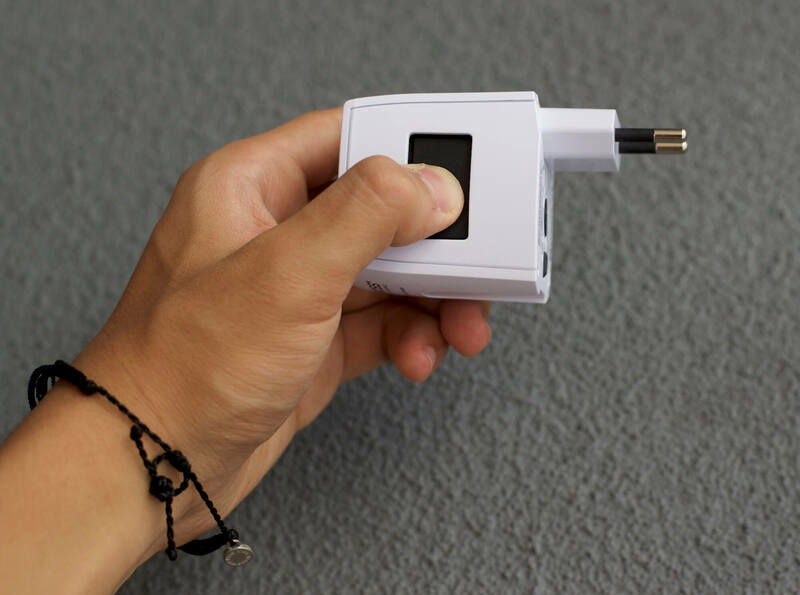 The cable can be used for charging and also syncing. It’s certified by Apple and I’ve used it to download photos from my iPhone to my Macbook. It’s relatively durable and I haven’t had any issues with it when traveling. The cable is equipped with an alarm, which is a small rectangle approximately 1.5in long and 0.8in wide in the middle of the cable. When the phone is unplugged from the cable, the cable is supposed to beep, notifying the phone’s owner that someone is trying to unplug their phone. The Alarm Cable is useful in theory, but is riddled with flaws in real life. 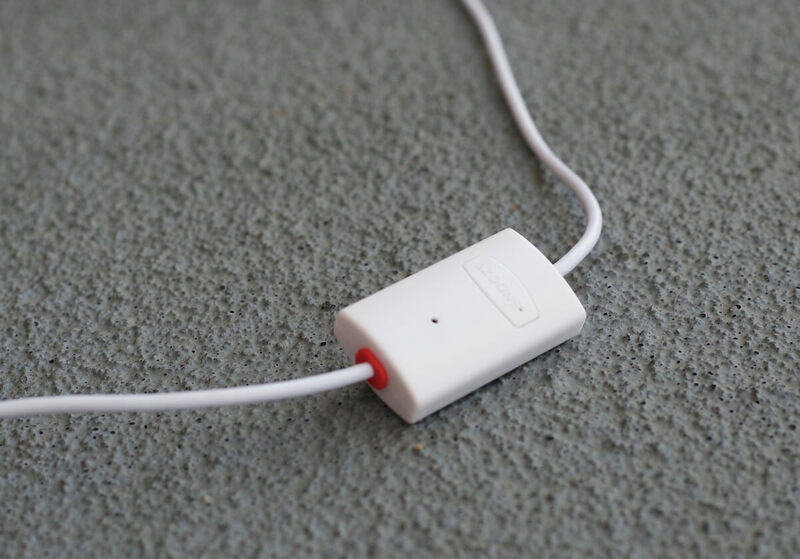 The alarm only beeps if you remove the cable from the Micro USB / Lightning end. This kind of defeats the purpose. If you unplug the alarm cable from the USB port first, it won’t beep. Since there’s no electricity flowing to the alarm box, it’s not able to beep. There’s no way to turn the alarm feature off. You can hit the ‘snooze’ button after it starts beeping, but there’s no way to shut the alarm off completely. I’ve found it to be a lot more annoying than useful. I usually charge my phone at home or in a hotel room. There’s no reason for me to have an alarm on my cable when I’m the only person in the room. Honestly, I’d rather get Skross’ 2-in-1 cable without the alarm. It’s cheaper too. The Verdict: The cable is good; the alarm is bad. If you’re an American and value convenience, don’t get the World Adapter MUV Micro USB, which I tested. 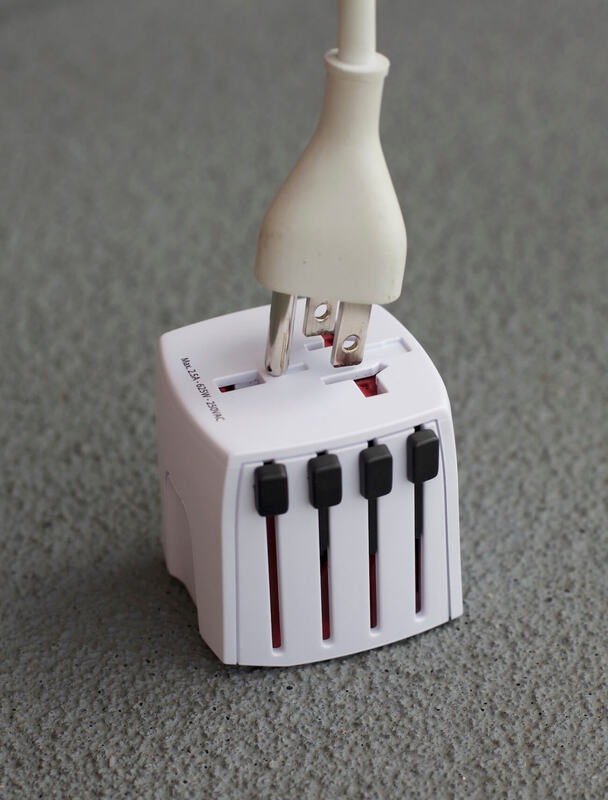 It can’t be used with 3 pronged plugs, and the USB port add-on covers the main socket. 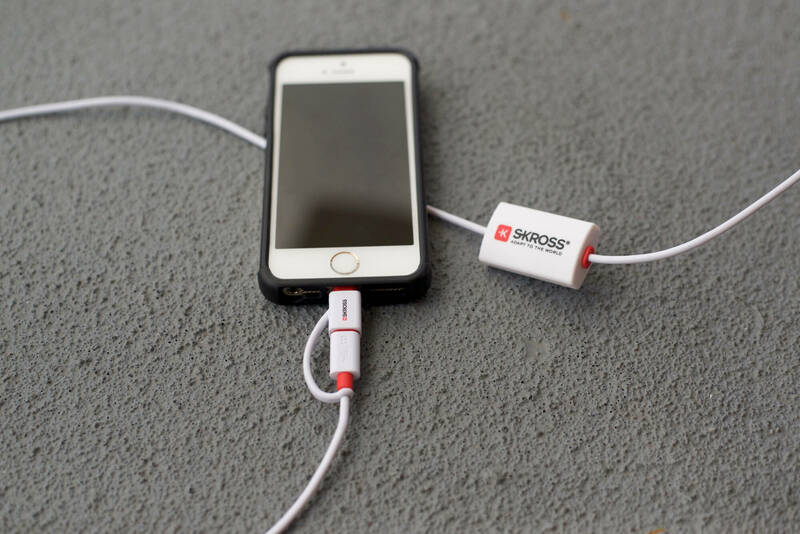 Instead, get the Skross PRO Light USB – World adapter. It’s a better, slightly more expensive version of the adapter I reviewed. 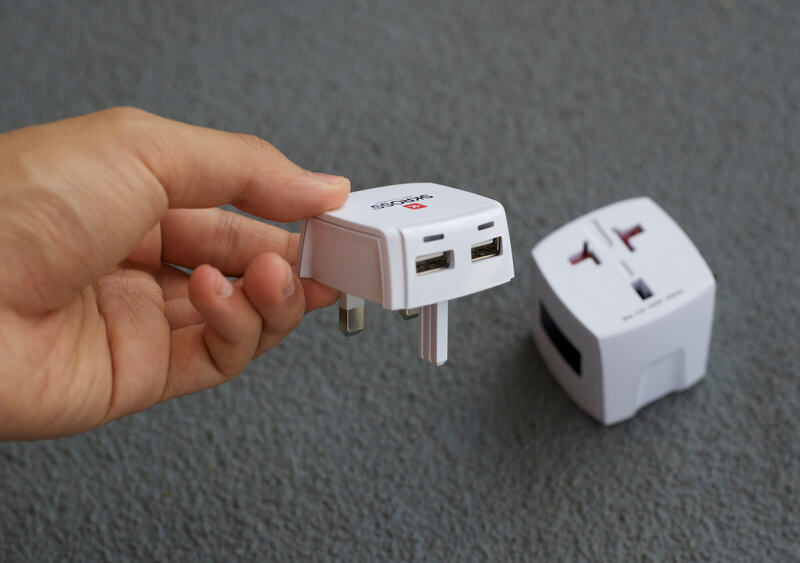 It addresses all of the cons I had with the World Adapter MUV – it can be used with 3-pronged plugs, like that of my Macbook, and it has two built-in USB charging ports which don’t interfere with main AC socket. 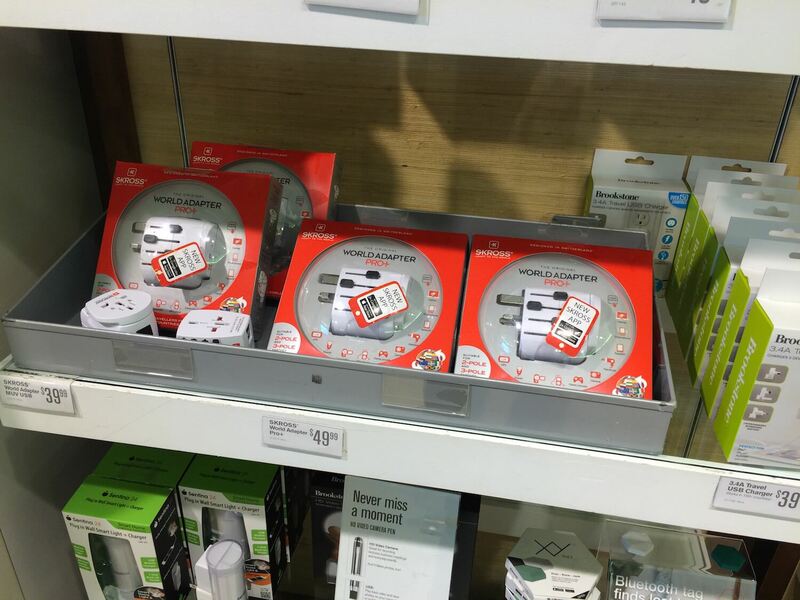 The Skross World Travel Adapter and Alarm Cable were provided for this review. As always, this review contains only my honest views and opinions. Find out more about me and this site here.